Stress is a commonality that every individual can encounter. Work, family, relationships and even travel can trigger stress levels. Everyone practices different methods of stress relief, whether through working overtime or taking an exercise class. But sometimes stress can feel like a never-ending battle, and you find that relief is far-fetched. Studies show that meditating through stress may actually reduce mental anxiety. Here, you will find a few helpful tips to improve stress through mindful meditation. It can be a challenge to focus on centering your mind on the present. Perhaps quieting your mind has become a chore rather than actual enlightenment. But once you practice a method of relaxing the mind, it will get easier over time. There are several ways to enter into mediation and close off the world around you. However, it must become a daily habit. Whether you’re at your desk, standing in line at the store or sitting in traffic, you can teach your body a whole new way to breathe. Slowly inhale through your nose, then slowly release. Take five whole minutes (eyes closed if you can!). This simple act can train your body and mind to slow down, which helps to slow the heart rate and lower blood pressure. This technique encourages you to focus on your body as a whole. You can sit or lay down, whatever position is comfortable. With your eyes closed, do a mental scan, starting from your toes and working up to the top of your head. Assess how you're feeling, and tune in to how your body reacts to what you’re doing. This type of meditation helps you to focus on yourself in the present and only takes five minutes of your time. 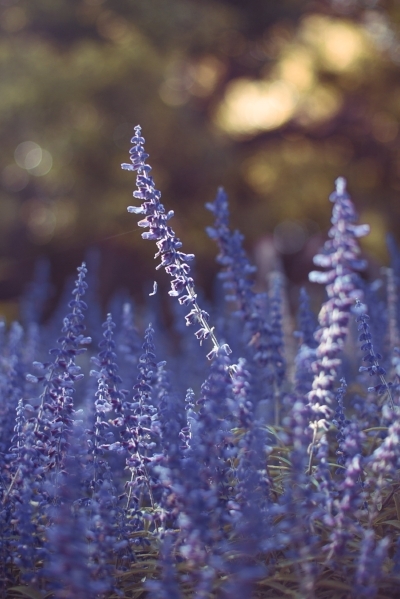 Lavender, rosemary, eucalyptus, and frankincense offer many relaxing benefits that create a mindful peaceful surrounding. When you feel slightly out of control and can’t focus, apply lavender oil to your temples or to the palms of your hands and breathe it in. This very scent sends signals to the brain that help ease tensions and stress. Mindful meditation is an Eastern practice that focuses on training the mind to be present and in the moment, on purpose. It is the very act of focusing on what you have in front of you instead of letting your mind wander. When you feel yourself slipping into other thoughts, redirect it back to your current state. Stress comes in many forms and reaches many levels. 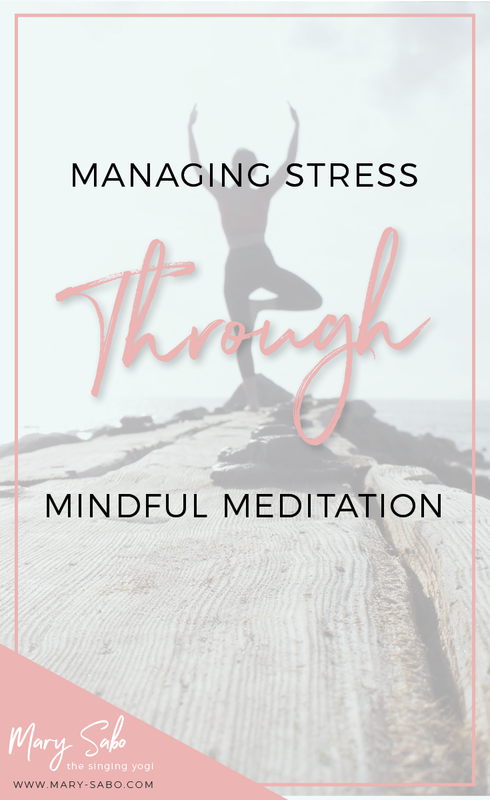 Identifying the various types of stress can be difficult but it’s important to understand where it’s coming from in order to make positive changes. This common type of stress is easy to spot, as it relates to the pressures and demands of daily life. Chronic stress is much more serious than acute stress because of its ability to blend and become familiar with everyday life. It’s much more difficult to manage if it goes unnoticed for long periods. Furthermore, chronic stress can lead to heart attack, stroke and even cancer. This type of stress is an enhanced version of acute stress. For example, a person who is always in a rush, throwing too many irons in the fire or unorganized fits this category. Individuals who tend focus on the negative outcome in almost every situation are well-acquainted with this type of stress. For some, it may seem natural to turn to food for that comfort of escape. But these important and fruitful steps will encourage positive meditation towards a stress-free environment. No matter what your daily habits consist of, take a moment to stop, breathe and focus on what’s in front of you. Find and experiment with solutions to determine which is the best one for you. Incorporating essential oils is the #1 way I get my clients started with mindfulness following the focus on our breath. When we stop to smell an oil, put it in a diffuser, rub it in our poms or roll it on our wrists - we are taking a moment of mindfulness that is anchored by a sensory experience. Creating rituals that incorporate these oils can help you truly design a daily mindfulness practice that is fit for you. To learn more about how oils can help you manage stress read this download your own free ebook all about Emotional Aromatherapy!